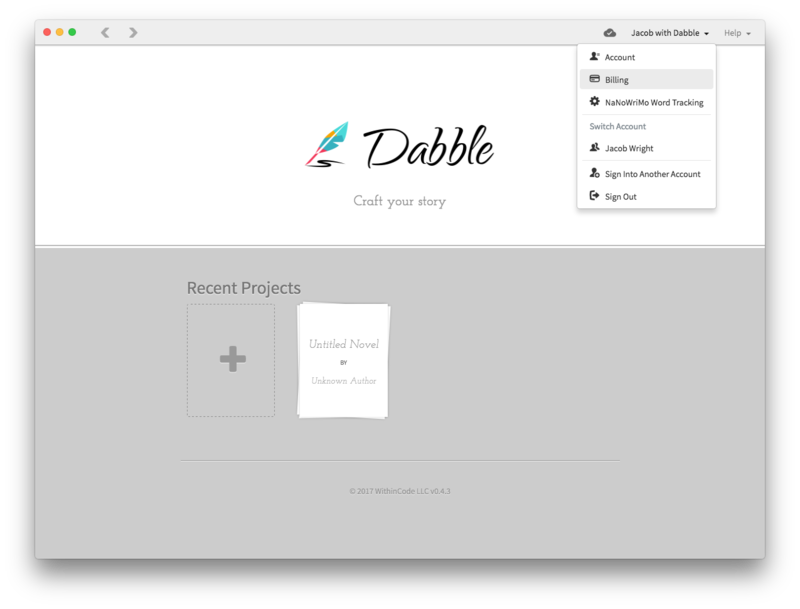 How to add or update your credit card to pay for your Dabble subscription. In order to keep your subscription current, you must have a current method of payment. Dabble accepts credit cards using Stripe, our payment processor. Enter your credit card information into the Stripe popup. 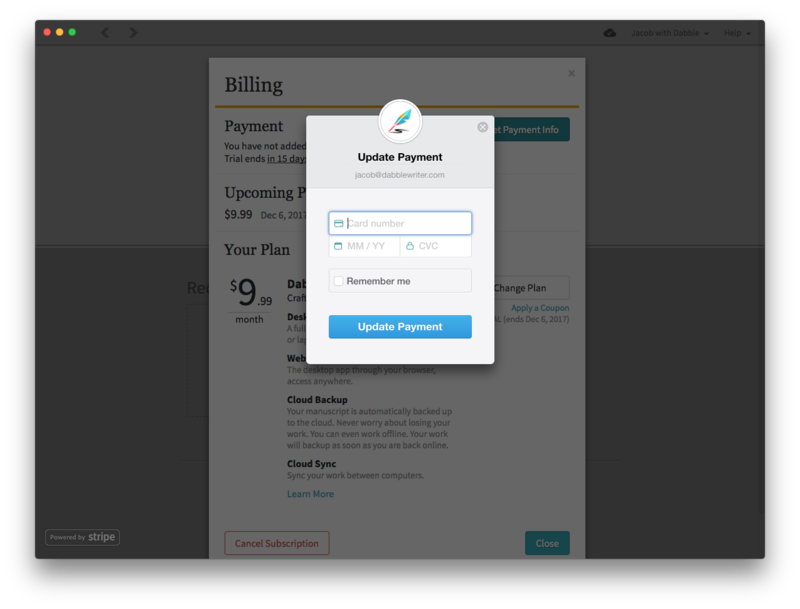 Once complete, your subscription will automatically be charged to your card at the end of your free trial. 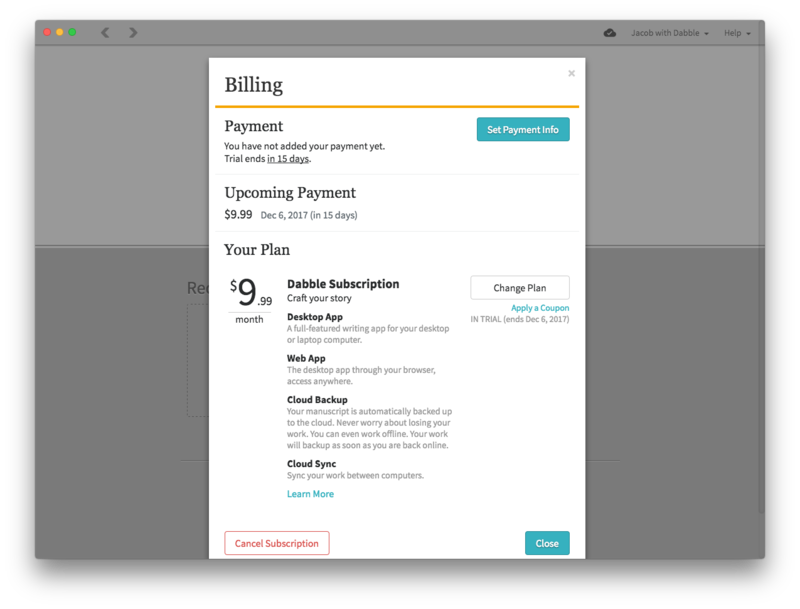 Select Billing from the account menu.